Many people will be using chat programs such as Google hangouts or Google Voice with their Chromebooks. 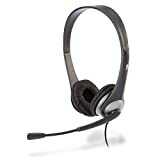 It is often asked, are there Chromebook compatible headsets? Most people will want to use a headset that has a combination of a microphone and ear plugs with their Chromebook. Most headsets will typically work on a Chromebook, but it is important to avoid some types. Chromebook compatible headsets will typically be based off USB of a 3.5mm To go plug. 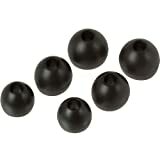 The biggest consideration when buying Chromebook headsets is making certain your Chromebook has the correct headsetplug. Some devices for example presently have only a single 3.5mm audio port (such as iPads and iPhones), so a headset with a 3.5mm To Go plug is the only choice to get a headset. Chromebooks on the other hand have ports for both USB and To Go plug connections (Chromebooks have 3.5mm TRRS connectors). The only downside is that most Chromebooks cannot accommodate a headset with dual 3.5mm plugs. 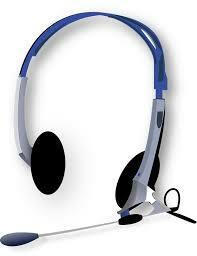 This is the classic type of a headset. There is one 3.5mm plug for the headphones and one 3.5mm plug for the microphone. Many desktop computers had this setup. Most headsets being made now are built to take advantage of the iPads and Chromebooks single jack for recording and listening. Alternatively, you can plug in USB headsets which should work pretty much the same. Most USB Headsets will also work on Chromebooks and do not require any additional software. Many people are more familiar with the traditional 3.5mm port and may use these Chromebook headphones. Most Chromebooks have bluetooth connectivity. Bluetooth Chromebook headsets will allow you to hook up a headset wirelessly to a Chromebook. You can use Bluetooth headsets on a Chromebook by pairing the headset with the Chromebook. 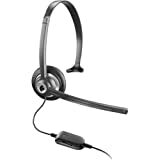 There are many different 3.5mm and USB headsets available. Most of these headsets are Chromebook compatible. Below are some of the best Chromebook compatible headsets for users of ChromeOS and Chromebooks. Start talking with the Logitech Stereo Headset H110. It’s perfect for making Internet calls, listening to music, and playing games, too. A noise-canceling microphone helps keep your conversations clear. This Logitech headset works with Chromebooks. Includes 2 free 1 foot USB extenders to extend the length of your device. Compatible with Win10 Plug-and-play USB connection: Instantly enjoy music, movies and calls in rich digital stereo sound Rotating boom microphone: Reduces background noise for clear chats, rotates up and hides away when you’re listening to music. This USB headset works with Chromebooks. 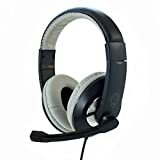 Premium headset with adjustable boom microphone and extra thick cable with volume control.Single TRRS jack for recording and high fidelity listening on tablets, laptops and mobile phones.Use for voice to text, video/voice chat, language learning, gaming, multimedia narration and any other applications that integrate microphone.